I grabbed What the Dog Saw from my bookshelf just as I was leaving for the airport. 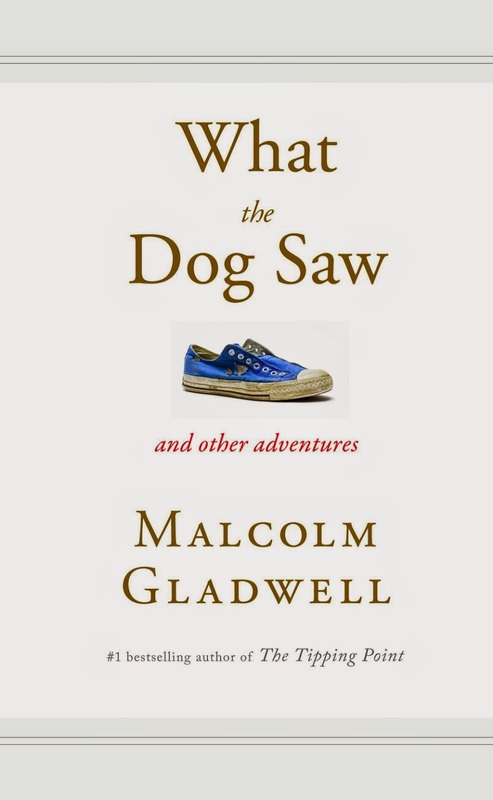 Malcolm Gladwell's books typically make for some nice flight reading, and from what I remember from reading What the Dog Saw many years ago, I thought that it would be just as good. Even though my flight was only to Copenhagen, I managed to read this one in one weekend. Granted I did skip some of the more insufferable material, but nobody can blame you for that if its the second time you are reading a Gladwell. What the Dog Saw is essentially a collection of essays published in The New Yorker, and it definitely reads like it. Chapters are independent pieces, so taking a few minutes to let it all sink in after each story is a good idea. You might feel that you have learned something, if you just hunker it down in a few nights, but you won't remember much afterwards. Malcolm Gladwell always makes for satisfying reading, but it's not really clear to me how I should approach his work. For pure entertainment value, you can just hop through the books feeling somewhat superior but not really learn anything new. But if you go back and try to meticulously wade through all of the information, you'll always run into some wishful thinking on the authors part and some poorly handled source material. I am not saying that this applies to everything in here, but there is just enough of it to always come out feeling a little bit cheated. That is not to say that people should avoid reading Gladwell. The stories in What the Dog Saw are great if you always remember that they were first published in a news paper and not in book form. This way you won't feel cheated when you read about Ketchup or Cesar Milan, subjects that should only be acceptable in magazines. I want something more from books, even if it is a paperback, popcorn novel heavy on the kitchen psychology.